[Ph.D.] in Precision Machinery Engineering. The University of Tokyo, Japan. 1996. Thesis Title: Cooperation of Multiple Robots by CDCSMA-CD Communication Method and GSGM Movement Model. [M.Eng.] in Precision Machinery Engineering. The University of Tokyo, Japan. 1993. Thesis Title: Cooperation of Autonomous Mobile Robots in Searching Unknown Environment and Making Map. [B.Eng.] (1st rank of the class of 80 students, Honors) in Mechanical Engineering. Chulalongkorn University, Thailand. 1991. Senior Project Title: Analysis of Strength of Car Body. My research focuses in the area of robotics, control, and measurement. The research involves with design and development of hardware and software of mechatronics devices. New robot mechanism, novel control algorithm, and innovative measurement concept are investigated. M.H.Aziz, E.L.J. Bohez, Roongrat Pisuchpen, M. Parnichkun, “Petri Net model of repetitive push manufacturing with Polca to minimize value added WIP,” International Journal of Production Research, Taylor and Francis, (2014). Manukid Parnichkun. “Robotics Activities in Thailand at a Crossroad,” Journal of Robotics Society of Japan, Vol. 30, No. 10, pp 946 (2012). Md. Rokunuzzaman, Nitin Afzulpurkar, Manukid Parnichkun. “A Computer Vision Algorithm for Defect Detection and Sorting of Tomatoes,” International Journal of Advanced Manufacturing Systems, International Science Press: Vol 3, No.2, pp 129-138 (2012). Md. Rokunuzzaman, Manukid Parnichkun, Nitin Afzulpurkar. “Automated Identification of Various Defects in Tomatores and It’s Sorting,” International Journal of Advanced Mechatronics and Robotics, International Science Press: Vol 4, No.2, pp 89-97 (2012). Viroch Sukontanakarn and Manukid Parnichkun. “Hybrid NN Predictive based LQR Controller for Rotary Double Inverted Pendulum Systems, an Analytical Study,” International Journal of Automation and Control. Inderscience Enterprises Limited, Vol. 5, No. 4, pp.337-355 (2011). Yunyong Punsawad, Sittichai Aempedchr, Yodchanan Wongsawat, andManukid Parnichkun. “Weighted-Frequency Index for EEG-based Mental Fatigue Alarm System,” International Journal of Applied Biomedical Engineering. Vol. 4, No. 1, pp.36-41 (2011). Somyot Kaitwanidvilai and Manukid Parnichkun. “Design of Structured Controller Satisfying H¥ Loop Shaping Using Evolutionary Optimization: Application to a Pneumatic Robot Arm,” Engineering Letters. International Association of Engineers. Vol. 16, Issue 2, pp 193-201 (2008). Chailerd Pichitpornchai and Manukid Parnichkun. “Research and Development of a Medical Tele-Analyzer for Tactile Sensation: A New Dimension of Telemedicine,” Korean Journal of Physiology and Pharmacology. Vol. 10, Supp/1, pp. 11-14 (2006). Invited Speaker at the Third International Conference of Information and Communication Technology for Embedded Systems, ICICTES 2012, From Intelligent Vehicle to Bicycle Robots: Embedded System in Control Applications, Bangkok, Thailand, 2012. Champion Award, Mecha-Bike Team, BicyRobo Thailand Championship, 2012. 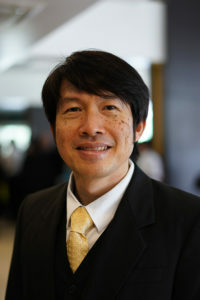 Honor Award in Recognition of Contribution to Thai Robotics Society, the 2011 TRS Conference on Robotics and Industrial Technology (CRIT 2011), 2011. Excellent Creativity Award, Ex-Bike Team, BicyRobo Thailand Championship, 2010. Champion Award, Kuen-Chai Team, Thailand Intelligent Vehicle Challenge 2009. Excellent Creativity Award, Pak-Shee Team, Thailand Intelligent Vehicle Challenge, 2009. First Runner-Up Award, Little MEC Team, Thailand Intelligent Vehicle Challenge 2008. First Runner-Up Award, Aerotronix I Team, Thailand Intelligent Vehicle Challenge 2007. Best Paper Award, Preliminary Study and Design of an Exoskeleton, the 2007 TRS Conference on Robotics and Industrial Technology (CRIT 2007) , Nakorn Pathom, Thailand, 2007. Keynote Speaker at the 2007 TRS Conference on Robotics and Industrial Technology (CRIT 2007), Unmanned Car Technology and Performance Review: A Case Study from the Inaugural Thailand Intelligent Vehicle Challenge, Nakorn Pathom, Thailand, 2007. National Key Inventor honored by Krungthep Thurakij Newspaper, 1 January 2007. 3rd rank in the top 25 most downloaded article of the International Journal of Machine Tools & Manufacture. Elsevier Science Ltd. during Jul-Sep 2004, Geometric and Force Errors Compensation in a 3-axis CNC Milling Machine. 6th rank in the top 25 most downloaded article of the International Journal of Mechatronics. Elsevier Science Ltd., Pergamon during Oct-Dec 2004, Force Control in a Pneumatic System Using Hybrid Adaptive Neuro-Fuzzy Model Reference Control. Invited Speaker at the 2004 International Conference on Control, Automation, and Systems (ICCAS 2004), Advanced Researches and Development in Mechatronics, Robotics, and Automation in Thailand, Bangkok, Thailand, 2004. Member of the Committee of Thai Robotics Society.